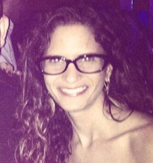 Sherine ElBanhawy is the founder/CEO of Rowayat. She’s a blogger, freelance writer, and full time mother/wife. She writes book reviews for ScoopEmpire. She is committed to community service and feels it enriches ones life. She loves to travel, ride bikes, and read. Marcia Lynx Qualey is the Guest Editor of Rowayat. She is in charge of the Arabic Literature in Translation section. 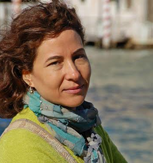 She was a journalist and Russianist who visited Egypt in the spring of 2001 and returned to tell her husband: “We’re moving to Cairo.” She shifted from Russian literature to Arab and Arabic literatures and is now a book critic, editor, and literary journalist. Although she writes regularly for The Kenyon Review, The Chicago Tribune, The Chimurenga, as well as for Women’s Review of Books, Minneapolis Star Tribune, The Guardian and others, she most enjoys working with emerging authors. Most recently, she has been working with a Palestinian doctor on his amazing memoir. 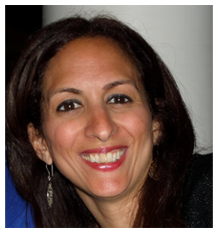 Dr. Jailan Abbas is the Editor in Chief of Rowayat’s Gemeza an annual publication for students 8-14yrs old. 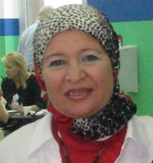 She is the Head of the Egyptian Culture Department at Cairo American College. She has been teaching for over 25 years, students from Grade 1 to Middle Schoolers. She is passionate about Egypt, writing, kids, and her classes are always filled with eager students that never want to leave. She created the books that are the curriculum of the department and continues to bring them up to date and add to them each year. Dr. Jailan is spearheading Rowayat Gemeza and is eager for this annual publication to be just the start of numerous activities, workshops and ventures. 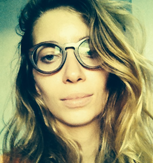 Azza Skhiri is the Artistic and Editorial Director of the annual Rowayat‘s Special Edition in French. She is passionate about all the Fine Arts, enjoys painting, jewellery making and all aspects of Tunisian culture. She considers both Egypt and Tunisia her home. May Elkhishen is the Editorial and Corporate Manager of Rowayat. She’s a born and bred Alexandrian with a passion for the arts, be it filmmaking, music or painting. She has a Marketing degree and has worked as Managing Editor of Campus Magazine, Account Supervisor in an advertising agency, Deputy Managing Editor at Egypt Today. She is currently freelancing for several art publications, both in and out of Egypt, and dabbling in the world of fiction writing, with an aim to publish her short stories via a personal blog online. She is a health and fitness junkie, who loves bananas, dogs, the sea and European cinema. After graduating college with a degree in English and Comparative Literature, Yasmin joined the Rowayat team as the journal’s external relations coordinator. She is also passionate about theatre and community service. 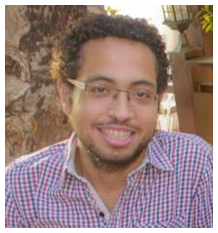 Alaa El Bannan is the Junior Editor of Rowayat. She studied Media and Mass Communications in the Faculty of Arts, at the University of Ain Shamss. She practiced journalism when she was a student, and worked in advertising as a creative copywriter for a very long time. Her richest experiences though were gained through volunteering and traveling, which made her dream about using art and creativity to help promote social causes. She loves and appreciates every form of art, especially photography, painting and music. Her salvation is in reading and writing and has a special passion for children’s literature. Mina Ibrahim is Rowayat‘s Research Assistant. He graduated from the American University in Cairo with a B.A. in Political Science. Interested in critically historicizing the fundamentality of the relation(s) between the individual and the state together with the deconstruction of the people’s existence as subjects of the global political and economic system(s). He’s also a freelance writer and editor at the AUC Times printed and online magazine. 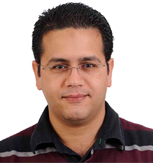 Ahmed Kamounah is Rowayat’s Graphic Designer – Art Director. He has been a graphic designer for over 12 years in-depth experience in coordinating graphic design, advertising design projects, and wide verities of publications for diverse industries, seeking to work in a challenging environment, with ample opportunities to apply specific skills in making tangible contributions for an exponential growth path. Isabelle Mayault is part of the editorial team for Rowayat Francais. She’s also a Cairo-based editor and writer. Her first memoir, Jours Tranquilles au Caire (Riveneuve éditions), will be published in France in February 2015. Amr Shehata is Rowayat’s literary consultant. Amr released his first novel, The Lord of Illusion, in 2009, for which he was nominated to participate in the 2011 IWP (International Writer’s Program) in Iowa State University to represent Egypt. 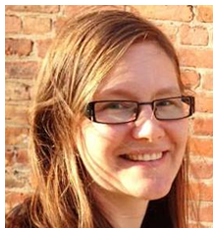 Since 2012, Amr has been the managing editor of Älska Publishing and Verbii, working alongside thought leaders and bestselling authors like Sarah Prout, Janet Attwood, and Bob Doyle. He is also pursuing an online degree in astrophysics from UCLAN. 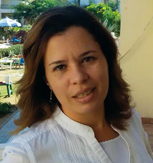 Hala Youssef is Rowayat‘s Outreach Advisor. She’s the former Corporate and External Affairs Manager for CARE International in Egypt. Her experience over the past 20+ years includes communication, fundraising, corporate engagement, event organization, and working in academic institutions and NGOs. In her capacity with CARE, Hala started a unit responsible for direct outreach and overseeing CARE Egypt’s engagement with the corporate sector. The unit was responsible for all internal and external communications for the organization, corporate engagement, and events. The unit was responsible for more than nine corporate engagements with CARE and her role helped raise CARE’s visibility, identify and nurture potential relationships, and raise funds. In addition to conducting due diligence for various companies who engaged with CARE, Hala organized CARE Egypt’s first CSR conference in June 2011, and promoted for corporate engagement in the community through her role as a member of the AmCham CSR committee. Hala has a Master’s degree in television journalism from the American University in Cairo and currently works as the Media Technical Advisor for Relief International in Egypt in their Youth Empowerment Program. She is a mother of two teenage sons. Nevine Henein is Rowayat’s copy editor and proofreader. After graduating from the American University in Cairo with a degree in mechanical engineering, she decided she preferred to work with words rather than with machinery and hasn’t looked back since. Mariam Bahieldin is Rowayat‘s Sales and PR Manager. She’s a poet who started writing at the age of eight. 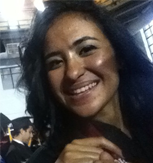 Her poems have been published in her school magazine at the Cairo American College and more recently in Rowayat Gemeza. She believes that writing cleanses the heart just like looking at a child’s smile.